(your coins will be safe but you wont be able to use them until you update to a v3 version). *New users need no extra steps. 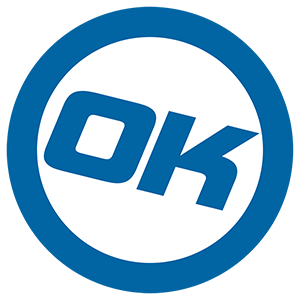 Just download and start your new OK wallet to start using the software. This update requires a change in the database structure to open the new features, needs to resync. Make a backup of your "wallet.dat" file, and delete all the other files in this folder except for "wallet.dat"
3.- Install or unzip your new okcash v3 client and it will start to sync. unzip and place it into the okcash data folder before starting the v3 client. POS v2 upgrade from Blackcoin Tech. Secure and improved PoS System. Buterin, Vitalik. "What Proof of Stake Is And Why It Matters"
King, Sunny. "PPCoin: Peer-to-Peer Crypto-Currency with Proof-of-Stake"
Vasin, Pavel. "BlackCoin’s Proof-of-Stake Protocol v2"
Anon upgrade from Shadowcoin Tech. Ring Signatures like Monero/CryptoNote and others with different implementation and optional Anon transactions. (Anon Tokens). Tsang, Wei. "Short Linkable Ring Signatures for E-voting, E-cash and Attestation"
Franklin, Zhang. "Unique Ring Signatures"
Rynomster, Tecnovert. "Zero Knowledge via Traceable Ring Signatures"
HTML5 upgrade from Shadowcoin Tech. 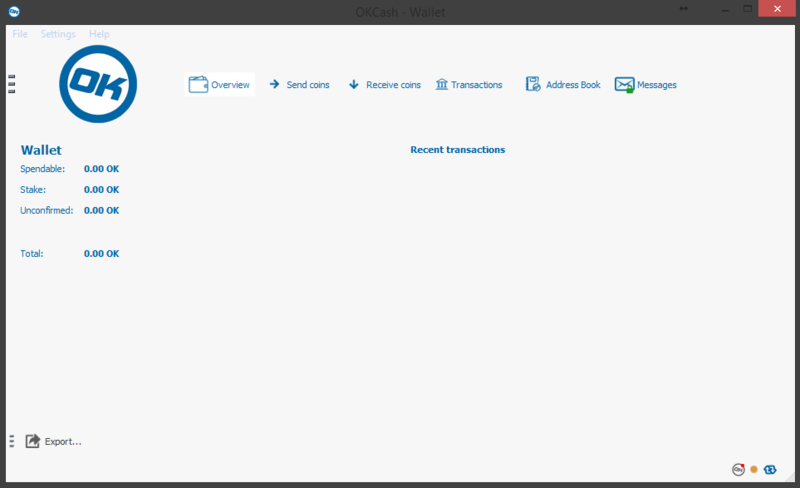 In wallet HTML5 Framework. BIP32 upgrade from Bitcoin Tech. Hierarchical Deterministic (HD) key creation and transfer protocol (BIP32). A deterministic wallet is a system of deriving keys from a single starting point known as a seed. The seed allows a user to easily back up and restore a wallet without needing any other information and can in some cases allow the creation of public addresses without the knowledge of the private key. 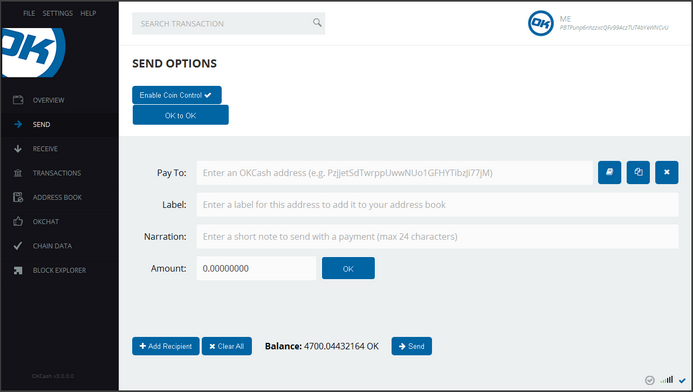 This is just the beginning, Android wallets and coinomi integration to be added/released in the coming weeks and will continue to add more of the new features (like a game maybe) that has been requested by the community in the Public Roadmaps, to participate/discuss OKCash development or implementation you can join the new channel #okcash-dev at Freenode, more Developers tools/documentation will be released in the coming days, Njoy.